Santa has arrived and will make his seasonal home through December 24th on the lower level near the Cobb movie theater at his Holiday Sleigh! 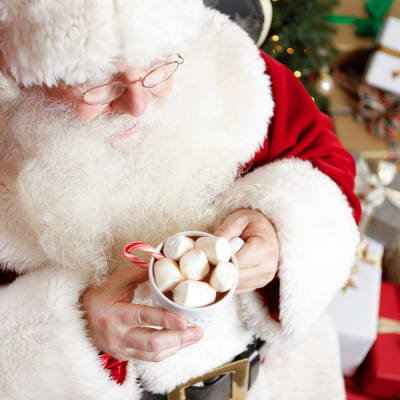 You can skip the line by making a reservation to visit Santa in advance online. Wear your ugliest Christmas sweater on Thursday, December 13 for photos with Santa. Participation is non-mandatory but anyone wearing an ugly sweater who visits Santa and purchases a photo package will receive a 15% Off Coupon to use online post visit for additional prints and gifts. Visit Santa’s Holiday Sleigh located on the lower level near the Cobb movie theater.